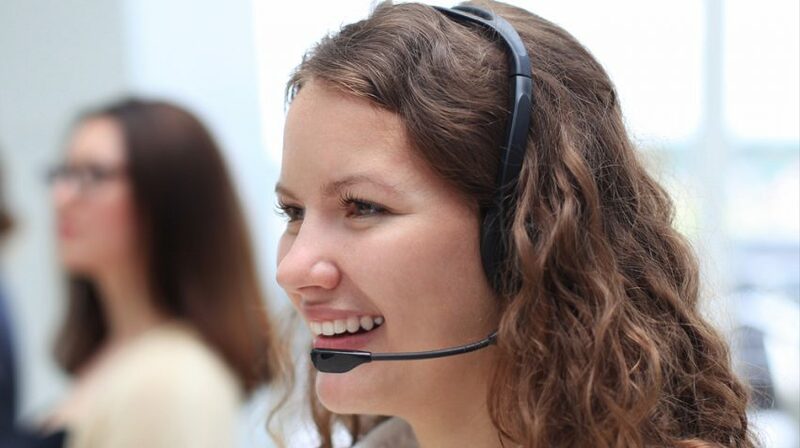 20 Tips for Building Your Customer Service Team | Data Quest, Ltd.
Digital technology has had a tremendous amount of impact on the way we communicate and access information. This has given businesses great opportunities and just as many challenges in meeting the needs of consumers, especially when it comes to customer service and experience. Social media, mobile technology, instant communication, big data, analytics and machine learning are some of the many tools that make it possible to deliver highly personalized customer service, and consumers now expect this service from the companies with which they do business. This is what makes customer service the differentiator in a market place where price variance is so small that it is becoming increasingly irrelevant. A Gartner survey revealed 89 percent of companies expect to compete mostly on the basis of customer experience, and digital technology is the biggest driver of this trend. So any business, no matter how big or small, has to consider building a customer support team that can respond to the expectations consumers have today. Here are 20 tips to building a customer support team for today’s marketplace. This sounds very obvious, but you would be surprised how many businesses don’t follow this very simple piece of advice. The 2015 Q1 Forrester customer experience report revealed only one percent of companies deliver an excellent customer experience. That is a staggering statistic, and it all begins by how well you listen when your customer calls you for the first time. This lays out the ground work for everything to come. After hiring the right person for the job, putting limitations on their capabilities is a waste all around. Give them the tools, authority and responsibility to make decisions, so when a customer calls, they can resolve the issue without passing the buck. This is especially important for small businesses that are dealing directly with their customers. The days of “I didn’t know John or Jane were working on it,” no longer apply. There are enough tools in the marketplace today to keep track of each interaction an employee has with customers and know what is taking place at all times. In addition to these tools, create an environment with open communications that looks at the big picture no matter how small the issue a customer brings up sounds. According to Oracle, more than 80 percent of Twitter and 50 percent of Facebook users expect a response to a customer service inquiry in a day or less. Other surveys have customers looking for a response within an hour. The quick response has to be followed by accurately resolving the problem the customer has. They shouldn’t have to call back for the same problem unless it is a follow up to ensure all is well. If you make this a priority, your customers are more likely to prolong their relationship with your company. Trust is a huge issue with everyone, no matter who they are dealing with. Only promise what you can deliver. Never over-promise or under-deliver. BE HONEST. If a customer knows what they are getting from you all the time, their appreciation will be shown by being repeat customers. The positive effects of team mindset in any environment has been proven over and over. It begins with training that emphasizes these qualities and follows through in the day to day operation of the organization by recognizing everyone. The recognition goes back to empowering your employees so they can be responsible decision makers. In the past, direct calls, call centers and even snail mail was used when customers wanted to get in touch with a company. However, today there are multiple ways to do that, whether it is directly or indirectly. You have to know how to use every touchpoint effectively so you can respond as quickly as possible. A customer doesn’t necessarily have to make disparaging comments about the products and services you offer directly. But you have to have the tools that let you identify the channel that was used and respond accordingly as soon as possible. It can be the person’s social media page, a forum or consumer related websites. Even if you are keenly aware of what your customers need, you won’t know everything. If you create a feedback solution that can be easily accessible, you will know their concerns without any assumptions. You can offer an email or phone survey and forms in the “contact us” page of your site so they can quickly give feedback. This not only gives you valuable information, but it also lets your customers voice their concerns on your site instead of on a social media page, where they can go viral. Just as you want to resolve each customer interaction as quickly as possible because you want to maximize the productivity of your employees by using their time more efficiently, you also have to realize the same goes for the customer. No one wants to waste their time by calling customer service. The reason they do it is because, in most cases, there is something wrong. Respect the customer’s time by removing unnecessary barriers to the ways they can get in touch with you, leave contact information, and continue previous conversations regarding an unresolved issue. As stated previously, the customer’s time is valuable, so have processes in place to resolve their problems as quickly as possible. Every business is different, but the following steps can be applied across the board: apologize; go over the grievance with the customer to make sure you have all the information you need; document the problem accurately so it can be available to everyone in the company; fix the problem; follow up to ensure the problem has been solved; and again document the problem with detailed information including the resolution to prevent it from happening again or have the answer available if someone else has the same problem. There are many tools designed to measure a wide range of metrics, and customer satisfaction is one of them. By evaluating this metric frequently, you can gauge if the processes you have in place are working or not. With the available customer relationship management (CRM) solutions today, it takes minimal effort to keep in touch with your customers. A CRM can be set up to contact customers through an email, SMS, social media or appointments for phone calls. It costs up to seven times more to acquire new customers than to keep existing ones, so continuing support extends customer retention, and it is much cheaper. Being quick and efficient is fine and well, but if the customer feels they are being rushed, you may never hear from them again. Take your time and build a relationship by having a dialogue with your customers. For small businesses this can go a long way in keeping your customer retention high. While it may not be possible to remember everything about each and every customer, documenting the interactions with the right solution can make it happen. Call recording and speech to text software are some of the tools you can use to archive the conversations with your customers and create bullet points of relevant information. With mobile technology and video communications readily available, you can have face-to-face conversations with your customers any time. Today’s consumers want to get in touch with you within a reasonable amount of time. With mobile technology, you can make your staff available at all times by giving incentives to employees that are willing to work the extra hours. Having a face-to-face or phone conversation may not be possible for the customer at the moment, but make yourself available by giving them the option to have it at a later time. For small businesses this can be a great way to build relationships with your customers. Whether you are a plumber, electrician or handmade craftsperson, giving them information that empowers them and increases their knowledge base is a plus. The exchange of information goes both ways, because your customer can give you information that can be of great value for your business, but it all begins by making yourself available and offering your time and expertise. If you specialize in something, you can create a community, whether it be online or at your place of business. You can have webinars, as well as events with hands-on demonstrations and classes which can also be broadcast online. If your business is too small, find another company in another community or city and get in touch with them for a possible collaboration. Not only will this improve your customer experience and service, but it can be another source of revenue. If you have an intimate understanding of what you are selling, it will be that much easier to build a relationship with your customers. For small businesses, this will be much easier because a customer can talk directly to the owner and get the answer they need. You can either do the research online or hire an expert to inform you of all the tools that are available to improve your customer service. There are many, so it is imperative to first find out what it is you are trying to accomplish, and then find the technology that will make it possible for you. Delivering great customer service today has become much easier thanks to digital technology. The same technology has also empowered consumers, which has increased their expectations. If they are not satisfied with a particular product or service, they can quickly voice their displeasure on multiple channels. Before it gets to that stage, businesses have to take proactive measures to deliver superior customer service and experiences.